Suohpanterror is a group of anonymous Saami artists from Sápmi. Since 2012 the group has been creating disruptive posters, drawing from pop art and western popular culture. Suohpanterror uses activism through art to comment on the society and current topics. Their activism is creative nonviolent resistance to further justice and equality. 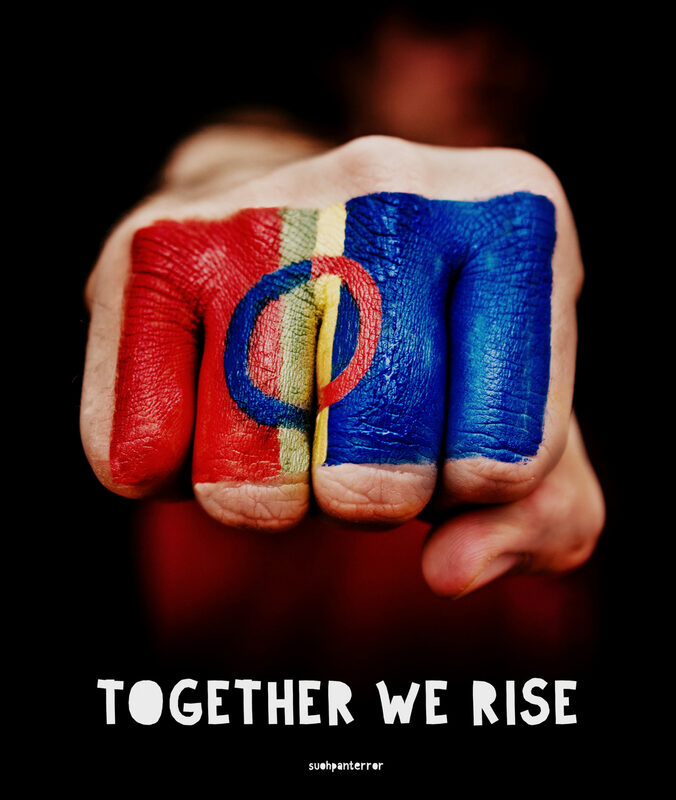 Suohpanterror aims to draw attention to the indigenous rights left unfulfilled for Saami people, and other injustice, such as colonialism, racism, and the exploitation of Sápmi. Suohpanterror criticizes the colonialism of nature and people, and encourages every individual to take part in decolonization by questioning colonialism. Suohpanterror works on grass roots, actively promoting the Saami rights with performance art, direct action, and events. Their works have been exhibited in several solo exhibitions and group exhibitions in Sápmi, Nordic countries and Europe. Suohpanterror also works actively on social media.